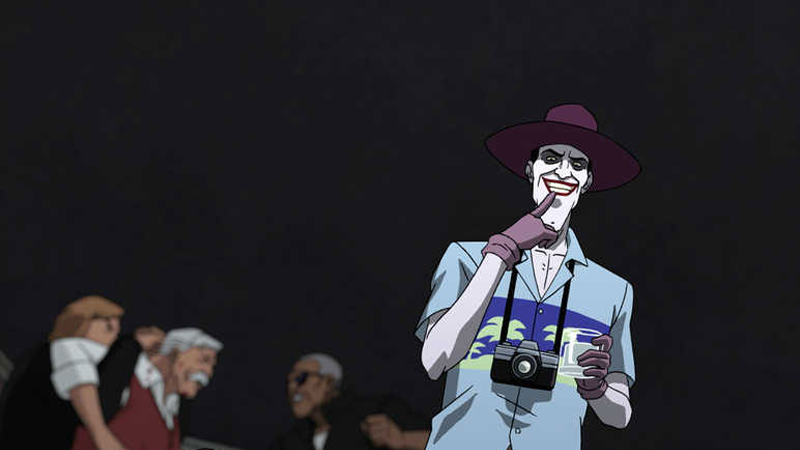 Bruce Timm is finally getting to adapt one of the most iconic (and controversial) Batman stories, The Killing Joke, but this is hardly the first time plans have been made by DC and Warner to turn Alan Moore and Brian Bolland’s best-selling comic into a movie. They’ve tried twice before, and two very different scenarios caused them to hold off. A couple of years later, it came up again and we even had started production with character designs and stuff. But then that horrible shooting at the Dark Knight Rises theater happened and everybody got nervous again about it, because of gun violence, so we put it back on the shelf. Go forward a couple of more years and it came up again. At this point we kind of looked at the whole thing and felt if we were going to do it, there were certain things about the original story that had always kind of bothered me. I mean the idea of adapting this story always kind of terrified me, because of how relentlessly grim and bleak it is. And what happens to Barbara Gordon in the story is very controversial to this day. The delays have at least meant one positive thing for this new adaptation. Timm and his team have expanded the story of the original comic, including new prequel material that places a much more prominent emphasis on Barbara Gordon as a hero. In the original storyline, she was little more than a plot device, and her paralysis is still seen as a black mark in DC Comics’ treatment of female characters to this day. The Killing Joke will be available digitally on July 26, with a physical release landing on August 2.